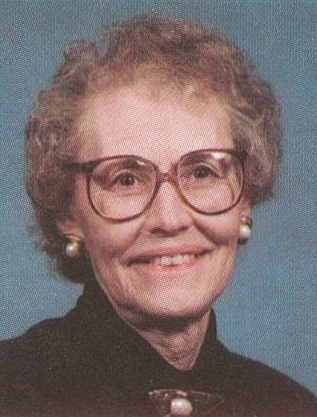 Geneva Peters was born May 7, 1928 near Chandler, Minnesota to John and Tillie (Jelgerhuis) Peters. Geneva was Baptized at the Leota Christian Reformed Church and made Profession of Faith at the Chandler Christian Reformed Church. She attended the Chandler Public Schools and worked at various businesses in Chandler. After the death of her father in 1950, she worked at her dad’s Creamery business. Geneva also devoted much time and attention to her mother. Her longest employment of 34 years was at the State Bank of Chandler as a teller. After her retirement she was a janitor at The State Bank of Chandler. Many of her nieces and nephews have fond memories of visiting “Grandma and Geneva”. Geneva loved spending time with her sisters and often arrived with treats to share. Geneva was physically active and enjoyed her regular walks around town. She also appreciated music and liked sitting at the piano to play hymns. One of Geneva’s favorite pastimes was going for rides. She put on many miles to Charles City, Iowa to visit her brother and family and was a frequent customer at Perkins until her health no longer made it possible to drive the miles. Geneva moved into the Good Samaritan Care Facility in Pipestone, MN in June 2017, this is where she passed away on August 8, 2018 at the age of 90. She is lovingly remembered by her sister-in-law Carolyn Peters, Marion, IA and many nieces and nephews. She was preceded in death by her parents; an infant brother Harris John Peters, brother John Harris Peters; three sisters and brothers-in-law, Johanna (Howard) Halbersma, Harriet (Carl) Reitsma and Gertrude (Peter) Prins.